The close we get to this month’s Mobile World Congress event, the more information about new Android(s goog) devices gets leaked. First up is the third iteration of Samsung’s small slate. The Galaxy Tab 3 may be one of the bigger Samsung reveals at MWC as it’s more likely the Samsung Galaxy S 4 smartphone will warrant its own event later. So what’s the word on the Galaxy Tab 3? Samsung has already created 7- and 7.7-inch tablets, and it appears the new slate will be in available in a similar size. 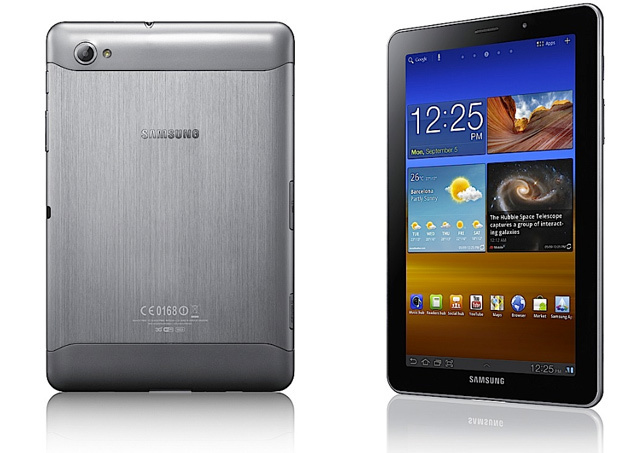 It could be even be an 8-inch tablet; the same screen size as the expected Galaxy Note 8.0. A key difference, however, is that the Galaxy Tab 3 won’t have an active digitizer nor supporting digital S-Pen like the Note model. That should keep costs down for the new Tab 3; perhaps even in the sub-$200 range to compete against Google’s Nexus 7. Alleged benchmarks for the Galaxy Tab 3 indicate a 1280 x 800 display running Android 4.2.1 and a CPU capable of up to 1.5 GHz. I’m willing to bet that Samsung keeps the price down by not using one of its new Exynos 5 processors, but a dual-core version of the prior Exynos generation. It’s more likely that Samsung uses the newer chip in the Galaxy Note 8.0. HTC will also be at Mobile World Congress but it may debut its newest flagship phone even sooner. I’ll be attending an HTC press event in New York City later this month, where the company could out the HTC M7. There’s little doubt the phone exists now that a video and pictures of HTC’s CEO, Peter Chou, shouting out “M7!” and using the phone’s camera at an year-end company celebration. Little information is known about the M7 other than it should have a new version of HTC’s Sense user interface based on some Android Police photos. That’s to be expected, given the company’s yearly iteration of its smartphone software. I suspect this to be a large-screened 1080p device — perhaps 5-inches diagonally — with one of the latest Qualcomm Snapdragon Pro chips running a version of Android 4.2. I wouldn’t be surprised for HTC to put it its highest resolution camera sensor to date in the M7 as well. We’ll see as soon as Feb. 19, which is when the HTC press event is planned. Enough about phones and tablets that are coming soon: How about a phone that’s coming after being sold out for so long? Amid quick sell-outs, the Google Nexus 4 appeared back in stock on line and many folks are reporting shipments in under 48 hours, per Geek.com. My recent check of availability says both the 8 and 16 GB versions of the unlocked phone are now shipping in 1 to 2 weeks if you order now. That’s much better than the “coming soon” message we’ve seen for weeks on end; perhaps LG is kicking up the production pace as noted two weeks ago? I just want to note that I wish Samsung would add a detachable bluetooth ear phone on their phablets. One that is ready to use upon detachment and is placed within the contour shape on the side of the phablet body. It doesn’t need a lot of battery juice like the typical earphone because once you’re done talking with it, it will go right back to the phablet. It will be recharged the whole time when not in use (thatâ€™s why it does not need a lot of battery juice) instead of just resting on your ear. With regard to uncomfortableness on the ear usage this will get better during trial and error in the development stage or successive model issues. And when competition kicks in you’ll see several awesome choices instead. If you compare it with the typical earphone you will be wearing this one on your ear a fraction of the time only as once you’re done with a call it does not rest back on you’re ear but it will rest back on the phablet. You wonâ€™t look like a geek anymore. nice information kevin. 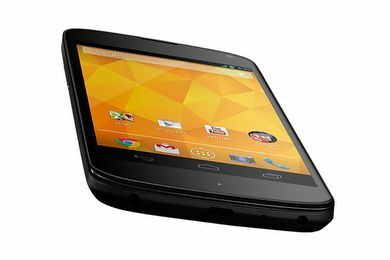 android tablet is best one compare then other. Great article Kevin. Keep up the good work bro. You DA MAN! I got mine the first time around, but i’m finally getting that damn bumper case. Ordered my Nexus 4 the 29th, got it the 1st.